One of the major attractions in downtown Harrisburg in Pennsylvania happens to be City Island. The island is home to the Metro Bank Park and the Skyline Sports Complex which are home to the Harrisburg Senators (a minor league baseball team) and the Harrisburg City Islanders (soccer team) and the Central Penn Piranha (a semi-pro football team). * The photo above shows City Island while standing on the Harrisburg side of the river and looking over towards the west shore. The venue also hosts other area attractions like horse drawn carriage rides, miniature golf, swimming (in-season), the Pride of the Susquehanna River Boat and other fun things to see and do. The island is approximately 1 mile and length and sits in the middle of the Susquehanna River in Harrisburg. 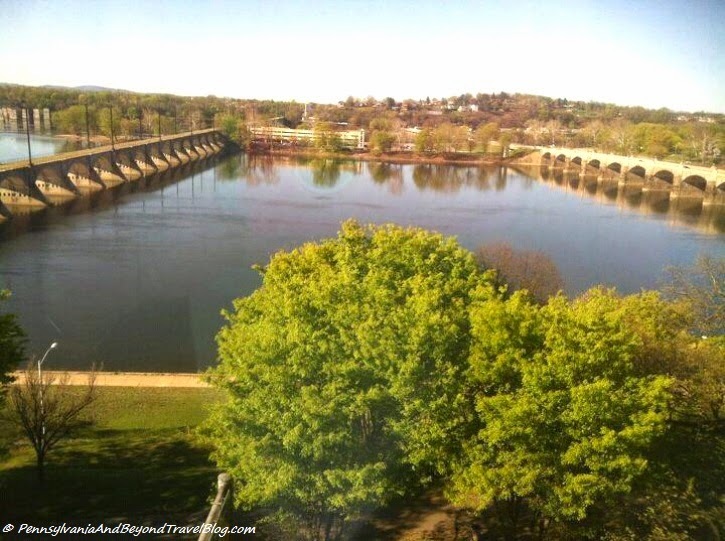 One of the beautiful things about this area is all of the historic bridges that cross the Susquehanna River connecting the West Shore with the East Shore. On a good clear & sunny day you can see for miles upon miles! 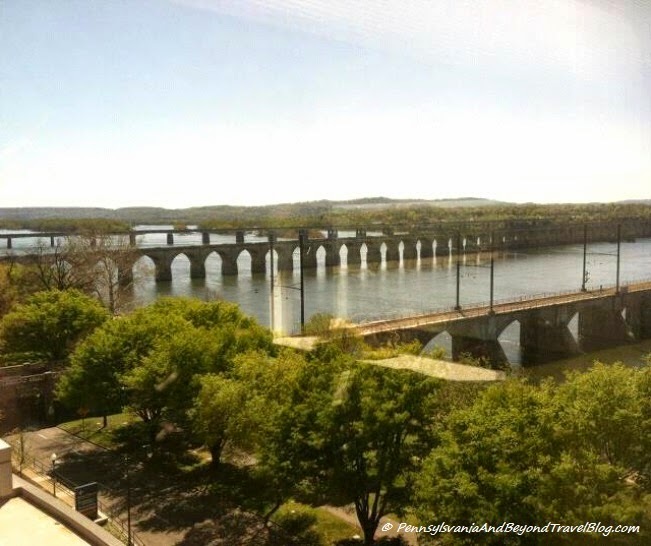 The above photo was taken 6 stories up from a window at Harrisburg Hospital which overlooks the Susquehanna River. A beautiful birds-eye view can be seen when you are on the top floor of the hospital. There are numerous bridges to get you from one side to the other and only two bridges lead to City Island. One is a pedestrian only bridge and the other is for vehicles. All of these bridges were built a long time ago with many of them getting upgrades over the years. In the coming weeks, check back on our blog for some great reviews, articles and tips on the various activities we have been enjoying over on Harrisburg City Island.